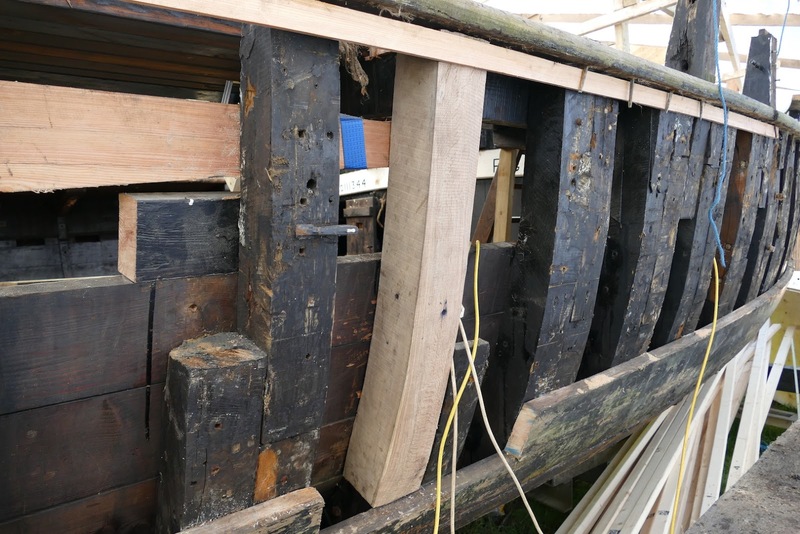 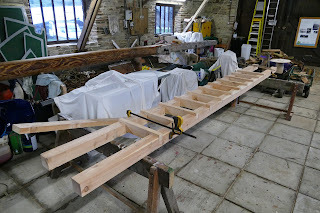 Shamrock's repairs are continuing with the ‘aftermost’ section of her starboard beamshelf being cut and shaped as well as bungs of various sizes being produced ready to stopper any old nail holes. 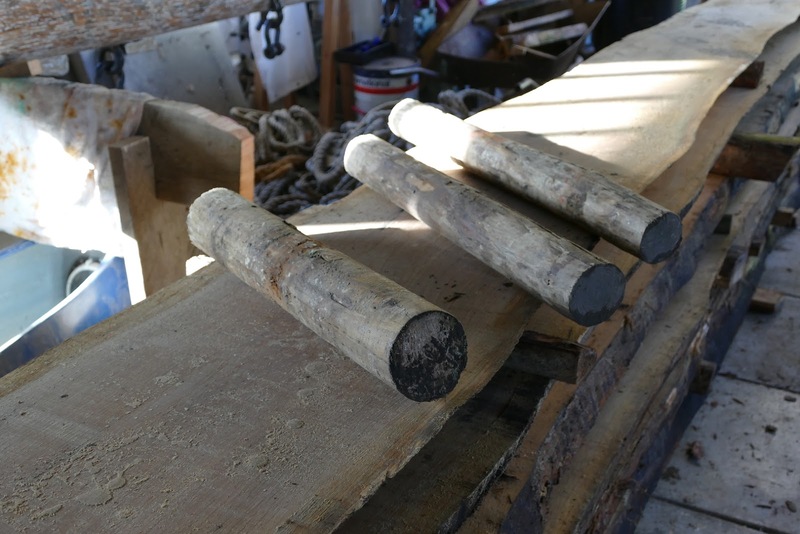 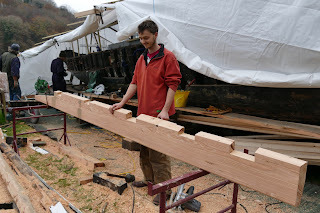 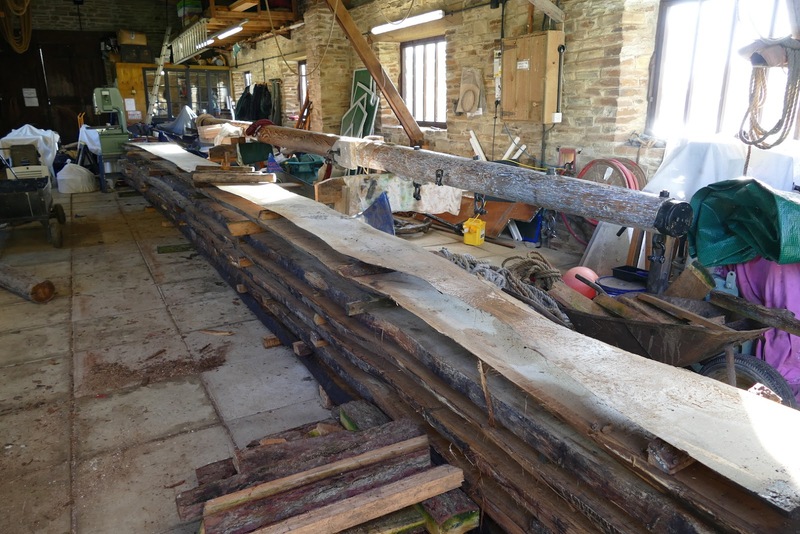 Timber has started to arrive with 32ft (10m) planks of freshly cut oak along with slabs of seasoned oak for repairing Shamrock's frames and the production of bulwark stanchions. A start has been made on her frames with two sections being cut and shaped. The newly arrived oak planks have been moved into the boat shed and stacked for drying. 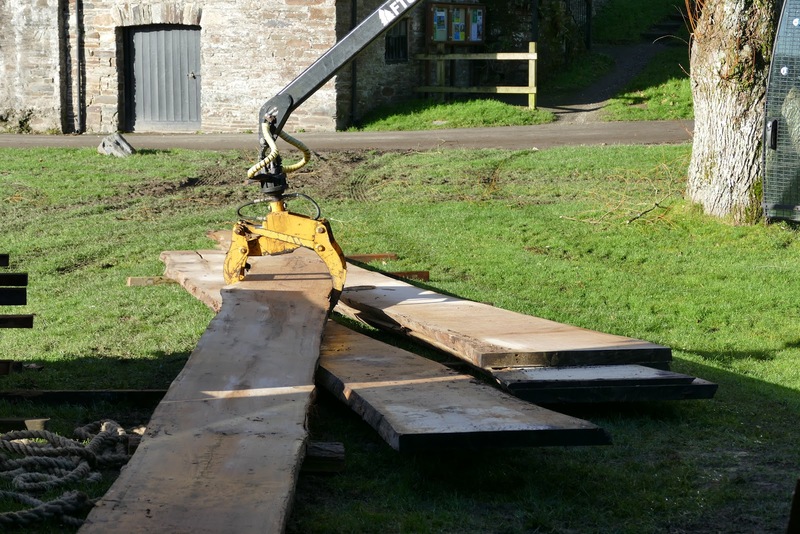 This was completed using a combination of ancient and new technology, (logs and a powered grab). In preparation for any winter storms a new covering frame has been fabricated and placed on Shamrock with some stronger tarpaulins to provide cover. As well as ongoing repairs to Shamrock other jobs are also continuing at Cotehele quay with new quayside ladders being constructed. 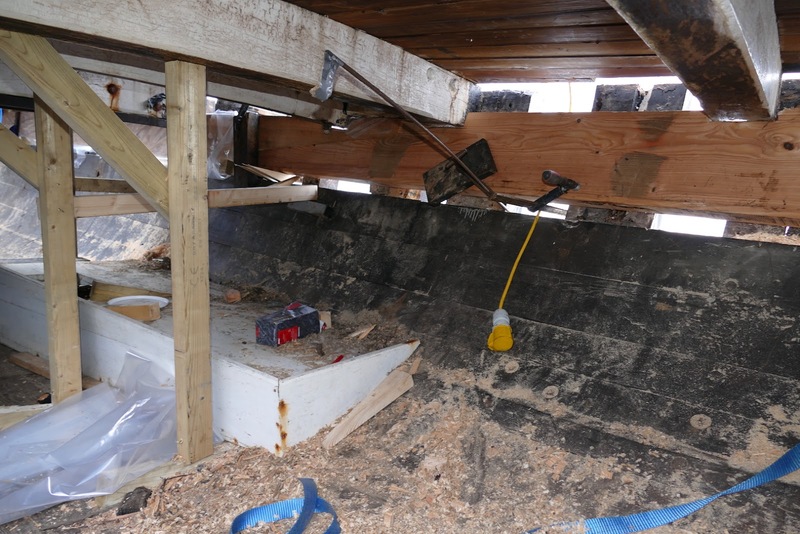 These are to replace the old condemned ladders that have already been removed due to their unsafe (rotten) condition. In one instance a broken rung caused a “mud angel” to appear. 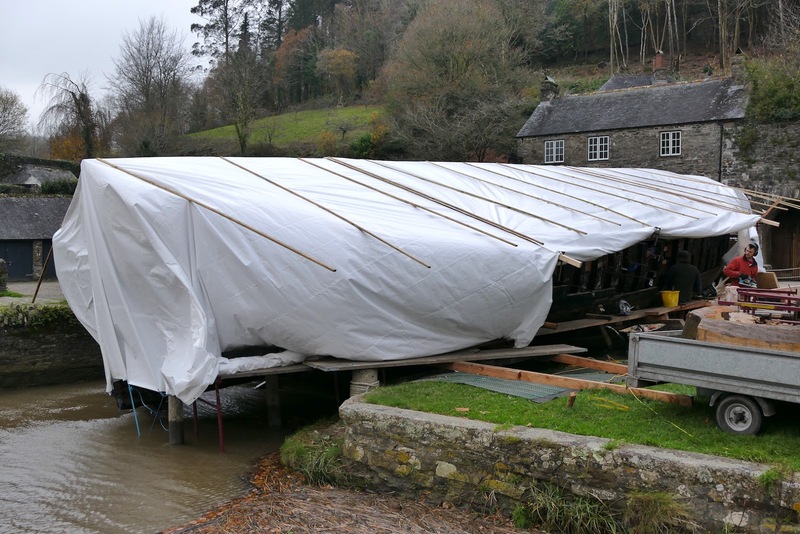 (Similar to those that can be formed in snow).The river has been cleared of all of our other boats with Nancy Belle being hauled up the boat shed slipway, cleaned and covered. The ‘Edgcumbe’, Shamrock's workboat and the pram dingy being moved to the boat yard and covered. 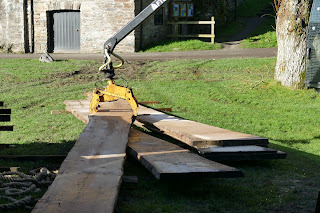 *”Mud angel” - the imprint left by a person falling in the mud. 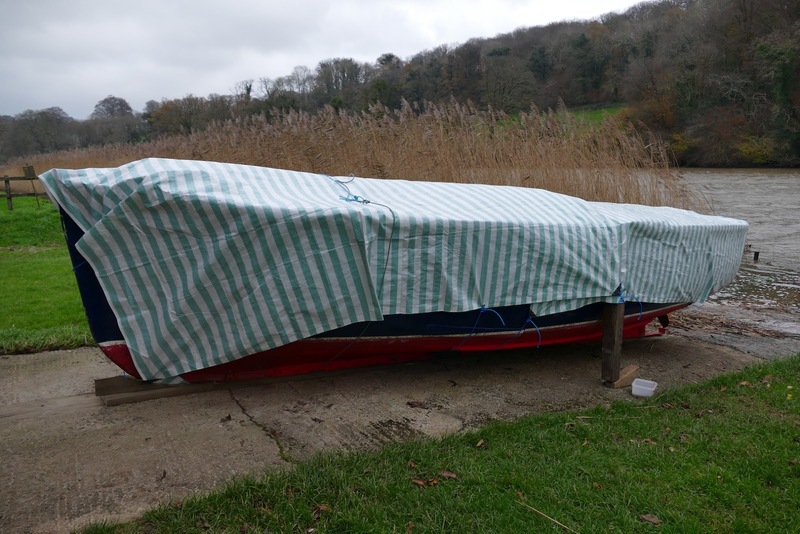 Nancy Belle ready for winter.